Challis Ag+ in partnership with FM Mattsson is pleased to announce the launch of WaterSprint, an innovative, safe and efficient technology for water purification, killing all micro organisms through LED technology. This specific UV-C LED technology was invented by Japanese scientists, and they were duly awarded the Nobel Prize in Physics in 2014. We all need clean water to survive. 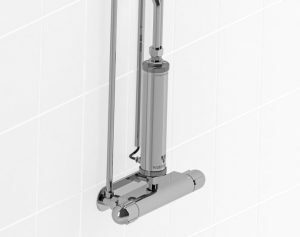 With a simple installation, our customers eliminate risk of Legionella and other harmful bacteria and viruses sometimes present in taps and shower outlets at a fraction of the cost of conventional filters. Perhaps best of all – our small modules are maintenance free! Most of our products are also connected via Wi-Fi to ensure safe operation and supervision. That is why we call it an intelligent water purification system.